Primary use for the Kid Transit car organiser. The car organiser is specifically designed to store essential items for your child or other useful products when traveling. The clear pocket is perfect for holding a tablet and is the optimum size for an IPad Air tablet as well as the 9.7-inch iPad Pro. What the Kid Transit organiser is not!!! The car organiser is not a toy and should not be given to your baby/child. While the organiser does not have any obviously dangerous parts (i.e. no removable small parts or glass) it is designed to hold items such as nappies, toys, wipes, food boxes, and tablets and it is not designed as a child’s toy. How to attach the car organiser. 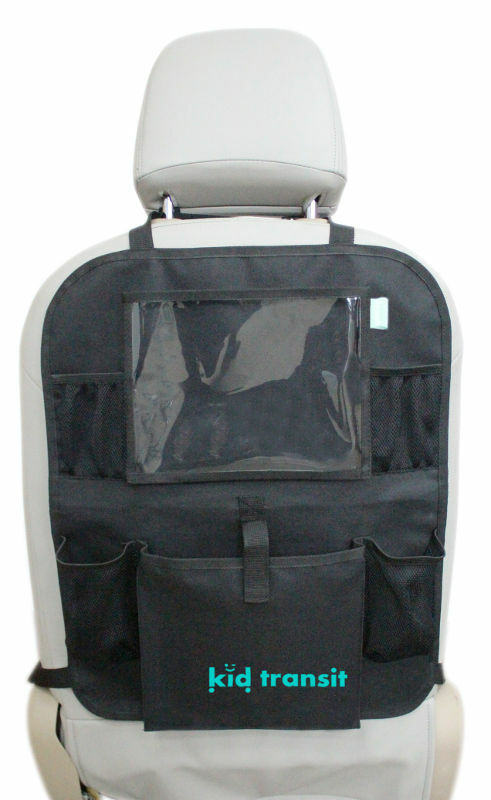 The Kid Transit car organiser fits behind the drivers or front passengers seat. 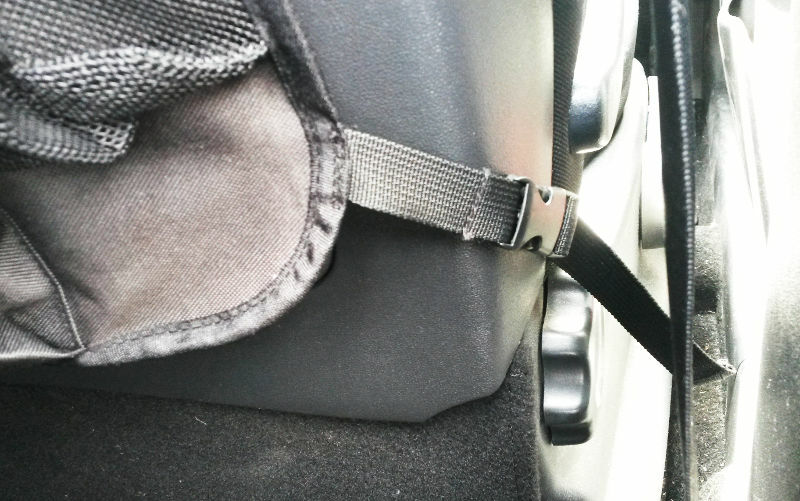 There is a strap and buckle at the top of the organiser and also a strap and buckle at the bottom. 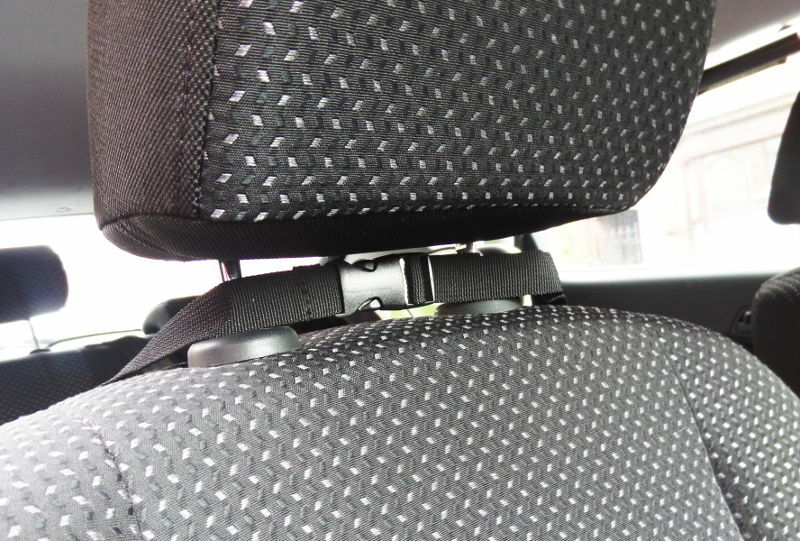 The top strap loops over the headrest of the drivers or front passengers seat and the straps can be pulled tight or slackened off to raise or lower the organiser to the desired height. 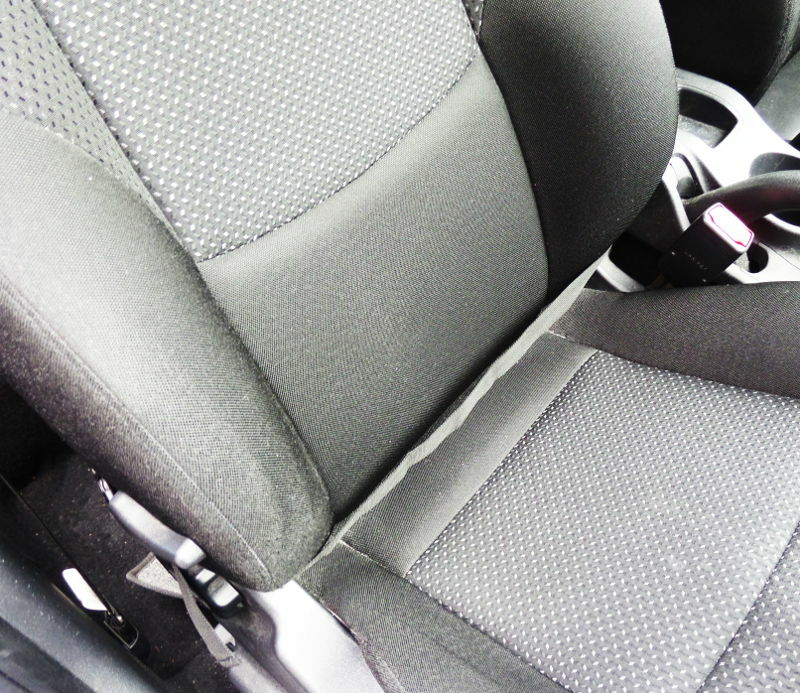 The bottom strap loops around the front seat and again can be pulled tight or slacked off to the desired position. Free 15 DIY Baby Food Recipes ebook. 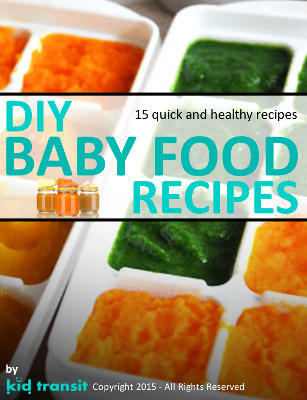 We’ve written an ebook featuring 15 DIY baby food recipes. These recipes cover ages from 4 months to 12 months old.